By Purchasing your tickets for the Jazz accompaniment to your Sunday Roast, you are securing your booking for Sunday Roast at The Duke of Hamilton Pub which will be paid for on the day. 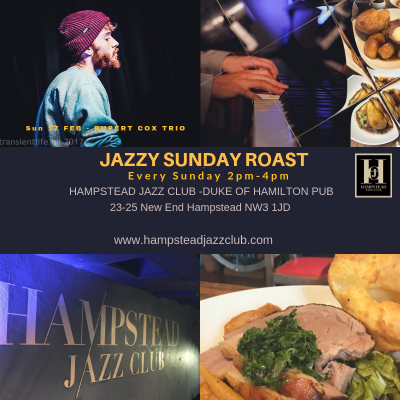 Freshly prepared sumptuous Sunday roast using seasonal British ingredients at Duke of Hamilton Pub accompanied by the the much-loved Hampstead Jazz Club ‘All Stars’, Musical Director Jamie Safir, who will be playing a Sunday lunch Jazz set. He’s recently completed a UK album tour for Tom Barford’s Edition record release “Bloomer” performing at venues such as King’s Place, Turner Sims Concert Hall and Pizza Express Jazz Soho. He has toured Europe with Multi instrumentalist Quinn Oulton and was a chair holder with the NYJO for 2 years and plays piano on the critically acclaimed NYJO 50 album. 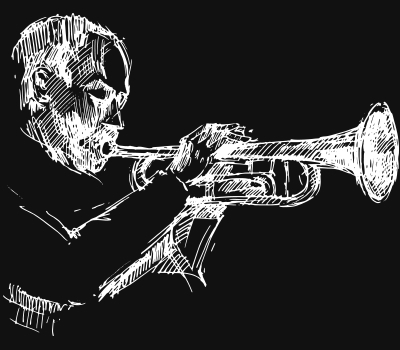 He has played with the celebrated Kansas Smitty’s House Band, with Robin Eubanks and the Human Revolution Orchestra. He has recorded with producer multi/instrumentalist Dave De Rose, Quinn Oulton, Lilli Unwin. To accompany the epic Sunday roast that the Duke of Hamilton Pub offers freshly prepared, using seasonal British ingredients, the Rupert Cox Trio will be playing a Sunday lunch Jazz set as the perfect backdrop to a sumptuous Roast Dinner.